In this last remnant of the Wild West - where oilmen like J. P. Getty made their fortunes and where desperadoes like Al Spencer, the "Phantom Terror," roamed - many of those who dared to investigate the killings were themselves murdered. As the death toll climbed to more than twenty-four, the FBI took up the case. It was one of the organization's first major homicide investigations and the bureau badly bungled the case. In desperation, the young director, J. Edgar Hoover, turned to a former Texas Ranger named Tom White to unravel the mystery. White put together an undercover team, including one of the only American Indian agents in the bureau. The agents infiltrated the region, struggling to adopt the latest techniques of detection. Together with the Osage they began to expose one of the most chilling conspiracies in American history. 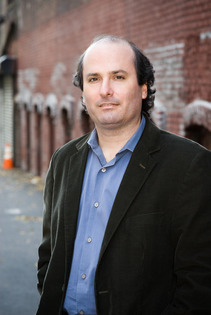 DAVID GRANN is a #1 New York Times bestselling author and an award-winning staff writer at The New Yorker magazine. His latest book, Killers of the Flower Moon: The Osage Murders and the Birth of the FBI, will be released in April. Based on years of research, it explores one of the most sinister crimes and racial injustices in American history. The Lost City of Z has been adapted into a major motion picture, which will be released in theaters in April 2017. Produced by Brad Pitt's production company, the film is directed by James Gray and stars Charlie Hunnam, Sienna Miller, Robert Pattinson, and Tom Holland. Grann's other book, The Devil and Sherlock Holmes, contains many of his New Yorker stories, and was named by Men's Journal one of the best true crime books ever written. The stories in the collection focus on everything from the mysterious death of the world's greatest Sherlock Holmes expert to a Polish writer who might have left clues to a real murder in his postmodern novel. Another piece, "Trial by Fire," exposed how junk science led to the execution of a likely innocent man in Texas. The story received a George Polk award for outstanding journalism and a Silver Gavel award for fostering the public's understanding of the justice system.His stories have also been a source of material for feature films. "Old Man and the Gun" - which is in The Devil and Sherlock Holmes, and is about an aging stick-up man and prison escape artist - is slated to be directed by David Lowery and to star Robert Redford. Over the years, Grann's stories have appeared in The Best American Crime Writing; The Best American Sports Writing; and The Best American Nonrequired Reading. He has previously written for the New York Times Magazine, The Atlantic, the Washington Post, the Boston Globe, the Wall Street Journal, and The New Republic. Before joining The New Yorker in 2003, Grann was a senior editor at The New Republic, and, from 1995 until 1996, the executive editor of the newspaper The Hill. He holds master's degrees in international relations from the Fletcher School of Law & Diplomacy as well as in creative writing from Boston University. After graduating from Connecticut College in 1989, he received a Thomas Watson Fellowship and did research in Mexico, where he began his career in journalism.